Westerns? Biographies? Romance? Art? St. Rita’s Amazing Traveling Bookstore has them all. 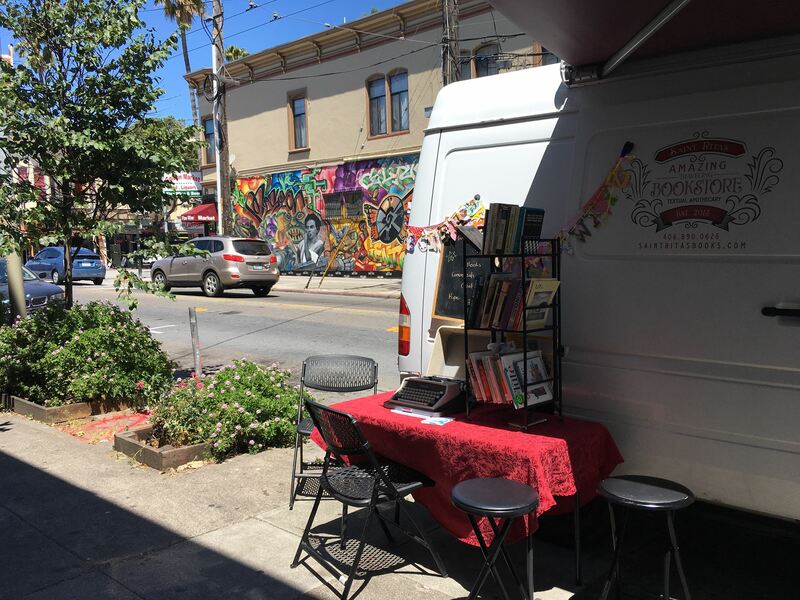 You will probably find this traveling bookstore at the Eureka Farmers Market but it also takes to highways and back roads to bring reading pleasure to fans near and far. Which brings up the idea of a textual apothecary. Because reading isn’t just for fun but can also be medicinal. Surely you have experienced the perfect book for easing a headache or helping with a cold. 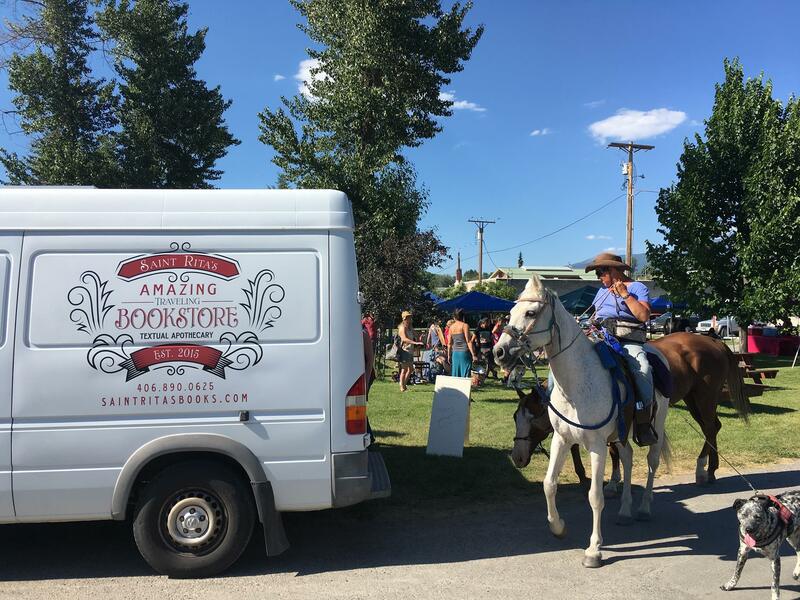 So for those of you who appreciate the wonder and therapeutic effects of reading words on a printed page, watch for this bookstore full of unusual used books to pull into a parking lot near you. Or follow upcoming events on our Facebook page to discover where the traveling bookstore will be next. St. Rita’s Amazing Traveling Bookstore and Textual Apothecary – what a concept! Visit us when we are in your neighborhood. POST CARDS from around the world. GREETING CARDS to encourage you to write more. 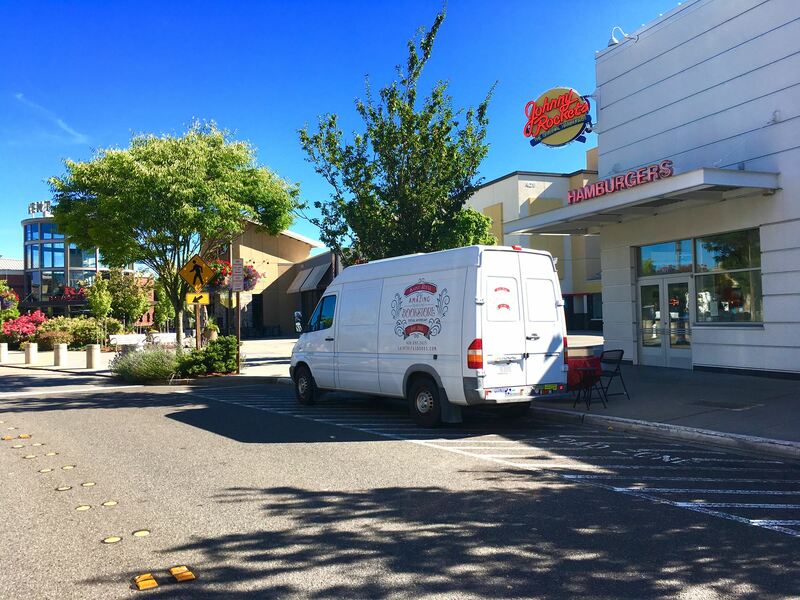 CONVENIENCE as the bookstore comes to you!